In the margin beside the highlighted second paragraph, Plath wrote the comment “l’ennui.” So whereas Nick “felt the basic insincerity of what she had said,” Plath herself felt Daisy to be suffering from listlessness. Was she sympathetic to Daisy’s cynical views of the world? 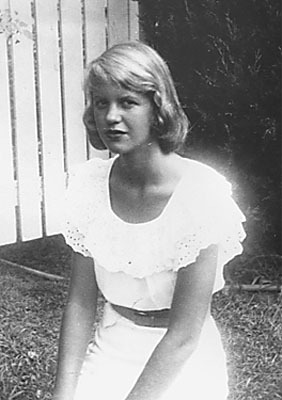 Seemingly, the passage resonated enough with Plath for her to mark it up like that. But should we take meaning from it, or simply chalk it up to active reading? It’s a look into Plath’s mind, I guess. Pretty interesting. As a narrator, Nick has his own views and motivations, so maybe he’s wrong about Daisy’s feelings in this passage. I’d never thought of it that way. I had the same thoughts when I came across this too. Since many of Gatsby’s readers are taught the book in school, I think our views of Daisy are largely formed via our teachers’ input and Nick’s narration. This reminds us that a first-person narrator is also an unreliable narrator. Personally, I feel very sorry for Daisy in this passage.